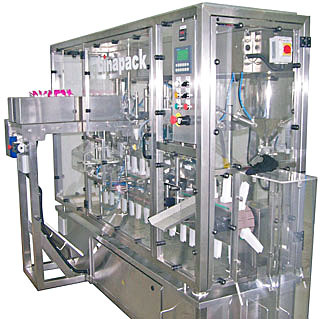 The entry level in the LINAPACK LFS SERIES machine range. 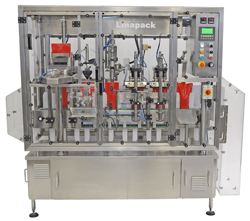 Compact and very simple, this machine is very popular with contract packers and companies with small production batches. Thanks to its quick size change, this machine is suitable for short production runs. Although it is the smallest in the range, it comes with full functionalities and options. according to the product and pouch 20 pouches/min.